The Aim High Welcome chartlet gives your classroom warm, welcoming style! This 17" x 22" chart features writing space to display your name, grade, and room number—perfect for parent teacher conferences and back to school season. 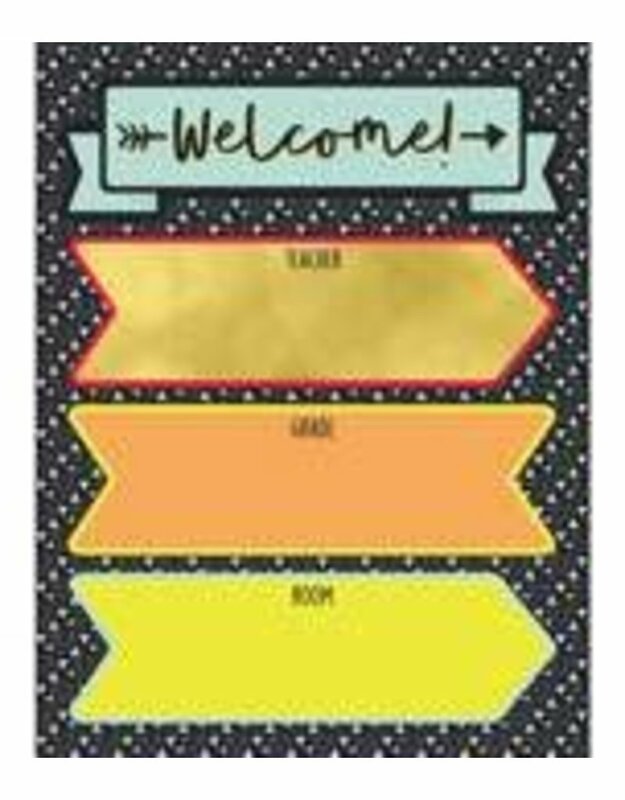 --Carson-Dellosa’s welcome charts offer a simple way to greet new students, parents, and guests. Place these colorful, customizable charts on your door to make sure visitors can find their way. To create a unified classroom theme, check out coordinating Aim High accessories.